This East African coconut bread is slightly sweet and has often been likened to doughnuts. 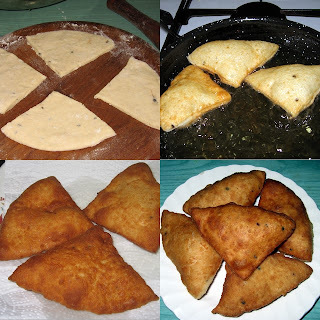 It is available everywhere in East Africa; it is typical street food, mandazi is eaten at anytime, for breakfast with tea, for a snack or with bharazi for lunch or dinner. 1. 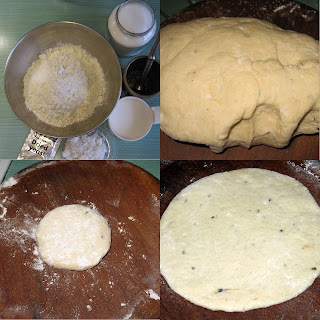 Mix all the dry ingredients, add the coconut milk and mix, add warm water for form a soft dough (not sticky). Knead thoroughly. 2. Place the dough in an oiled polythene bag and put in a warm place (airing cupboard) for 2-3 hours; until it has doubled in size. 5, Fry in hot oil, two to three at a time, holding them under the oil on the first side until they puff. Turn over until brown on both sides. This is wonderful! Can I substitute the coconut milk for anything else? Yes you can substitute coconut with ground peanuts. This is delish. I am going to cook and post green bananas (matoke) in peanut sauce later today. can you subsitute the coconut milk for something else. Not the grated coconut but the coconut MILK? did the dough rise with the yeast? if it did, may be the oil was too hot, if they mandazi go brown very quickly. Do try it again, this recipe does work, I have made these some many times. good luck, let me know how tou get on. Is mandazi similar to mahaamri? I remember eating a lot of mahaamri bharaji in mombasa when I was a kid. Sorry fogot to tick the email me the follow-up comments to this post. How much water would you say brings the dough to the right consistency? i tired it and it was brill, my boyfriend is kenyan so i wanted to make something special for him and it worked he loved them and so did i.the receipe was easy to follow and at first mine came out a bit crispy but then i just left my slices a bit thicker and hey presto it worked so i think the trick is to not roll out your dough too thinly. i also made the barazi to go with it perfect. next im goign to try the mogo lamb as its a favourite of my kenyan mum she will be so proud love ur site its ace. I did not add any oil, however I put the dough in an oiled bag. So a little oil is kneaded in. Also the coconut contains a lot of oil. I do know that a lot of recipe call for oil (1 table spoon to 1 cup of flour) so there is no harm in adding the oil. Rub flour with oil before adding any liquids. 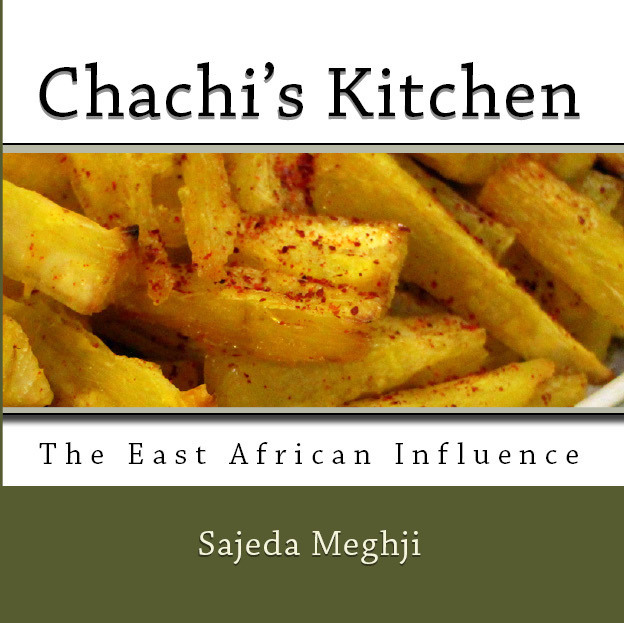 You have a great blog and I love all the recipes.Well done and thanks for sharing your recipes especially the East African inspired ones. thank you. your cakes look amazing. Brings back those memories. Glad I found this blog. So hungry for mandazi now I'm cooking some tomorrow! I prefer mine with just cardamon spice added. And I found that the more sugar and eggs, the crunchier yet soft! I'm from kenya so I have tried all sorts of variations and love it. My 1st visit here and loving your space. Following your blog. Your recipes would be perfect to enter the event Flavours of South Africa please do link them.You can find out how here. Hi! I'm curious if this could be baked rather than fried? I love maandazi but I'm trying to stay away from fried food. Thanks! Hi! Thanks for sharing your recipes with us. I was wondering if these can be baked rather than fried? I've been home on mat leave for a few months and promised myself I'd learn a few fancy dishes before going back to work. Just tried the mandazi recipe this afternoon - they turned out amazing!!! A few small tweaks - I added 1.5 teaspoons yeast that I dissolved in a cup of warm water and a teaspoon of sugar first. I used savoy brand canned coconut milk - the thick part, and let it rise for 3.5 hours. Next time I'll use an extra tablespoon of sugar as I like mine a tad bit sweeter. Thanks so much Chachi! My family is going to love this! I have not tried it, but I am sure it can be done, bake at 200C, brush oil on a baking sheet, and brush oil on each mandazi. My mandazi turn out great thanks to you Saju. any changes required in the recipe?